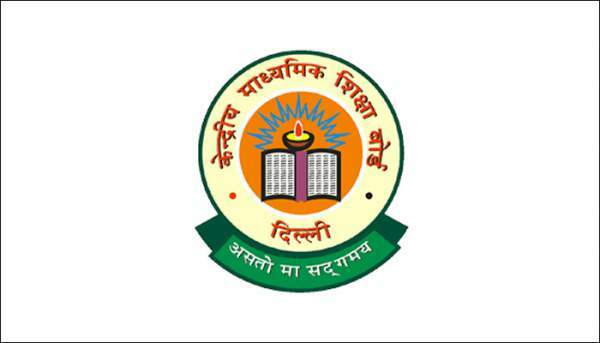 Central Board of Secondary Education (CBSE) was expected to release results of its 12th class examinations today. Because of the High Court’s order, there is a shift in CBSE 12th Results Declaration Date. Earlier the predictions have been drawn of result getting out on 24th of May. It’s common practice by the board to release CBSE 12th Results Declaration Date before last week of May. Usually, the results also get declared in May last week itself. Since the Saturday and Sunday are holidays in Central Board of Secondary Education’s office, the board usually prefers to release it on Monday-Thursday period. 0.1 Since the Saturday and Sunday are holidays in Central Board of Secondary Education’s office, the board usually prefers to release it on Monday-Thursday period. 1.1 According to our calculations, CBSE 12th Results should be declared on 29th May. This will also give enough time for the board to get prepared to comply with high court’s order. When CBSE 12th Results Declaration Date will be finalized: The date will be finalized not before 24 hours of the actual declaration. Because of the high court’s order, the board is expected to take the period of more 5 days to increase and finalize the changes. Its also necessary to moderate the marks of each student appeared manually to avoid any discrepancy. So far, there has been no notification on CBSE website (cbse.nic.in) or on the official results website (cbseresults.nic.in). Check the appropriate result, whether for private or regular candidates. Your result will be displayed. Take a printout for future reference. Can this mark sheet be used while taking admissions in colleges: After attesting from School Principal, this marksheet is accepted by the majority of institutions. The actual mark sheet could take up to a week which students can collect from their teachers. Coming to the fact-checking scenario, there are negligible chances of getting the official date as 25th of May because there is no notification from the board as of now. 26th of May could be the date but there are some practical impossibilities which may make it difficult for the institute to declare the CBSE 12th Results on that day. Many officials including teachers will be on holiday on 27 and 28th May making it difficult grievance redressal for every type of student. Its practically not a viable option for CBSE to declare the date as 28th May. On Sunday many stakeholders who help in consulting students will be on holiday which will make it more difficult for everyone. According to our calculations, CBSE 12th Results should be declared on 29th May. This will also give enough time for the board to get prepared to comply with high court’s order. What is Grace Marks Moderation Policy: According to the sources, The Grace Marks Moderation policy was introduced to help average students in getting admissions in good colleges. Usually, the average student finds it difficult for getting admission in colleges with a higher cut off (90+). The policy was introduced in which examiners are instructed to help the students performing average (60-80 marks) get some boost in the final exams. If major part of students are scoring not more than 80 marks in an examination, the policy will be applied. In this scenario, the overall marks of all the students appeared will be raised to a certain level giving step-wise marks. Along with the step-wise marks, institute usually increases marks for every diagram in the practical papers. Usually the students performing exceptionally well (95+ marks) faces three level screening of the answer sheet to make sure that there would be the correct name nominated for All India Ranks. In the first level of screening, the paper was presented to the examiner and then to the head examiner and coming back to the examiner on the third go. The benefit is not available for outstanding students.